Hurricanes, tropical storms, storm surges, high winds, and high tides are facts of life for South Padre Island and its inhabitants. Whether your home or business has been knocked off of its foundations, had its roof blow off, or is flooded with water, your troubles are just beginning. 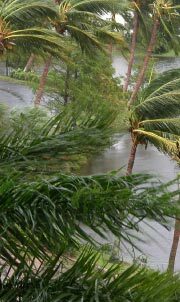 Following massive storm losses are the hassles of insurance claims and rebuilding. 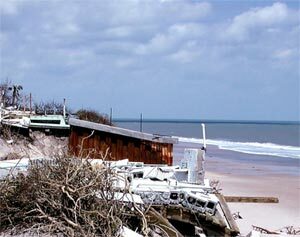 Fortunately, South Padre Island public adjusters are able to help. Why Use South Padre Island Public Adjusters? It’s true that your insurance company will send out insurance adjusters to survey the damage and potentially issue you a settlement check so that you can begin rebuilding. However, the insurance adjusters are not necessarily going to go looking for every potential loss you have suffered. After all, that’s not their responsibility (it’s yours). What does this mean to you? It means that if you rely solely on the insurance company to estimate your losses, you could be shortchanging yourself. Because the burden of proof falls on you, you have two choices: document all of the damage and estimate your losses on your own or hire your own public adjuster in South Padre Island. Public adjusters in Texas are licensed by the state just like other insurance professionals. Rather than working for a private insurance company, these adjusters work for policyholders. Since the burden of proof is the policyholder’s responsibility, policyholders benefit by having a licensed public adjuster working on their side. The public adjuster inspects the property, looking for every possible insurance loss and documenting proof of the loss through the use of digital and video cameras and extensive note taking. South Padre Island public adjusters also estimate the cost to replace damaged or lost belongings and rebuild the structures. Rebuilding estimates are particularly difficult for insurance company adjusters due to the differences in rebuilding costs throughout their territories. Because South Padre Island public adjusters specialize in south Texas communities, they are familiar with local building codes, customs, and costs. Equipped with local knowledge and state-of-the-art estimating software, public adjusters are able to back up their estimates with solid data and ensure that your final settlement offer reflects what it will really cost to rebuild in the area. Many policyholders are concerned about paying a third party to help them get what’s rightfully due to them under their insurance policies. After all, you have insurance, so the insurance company will pay you whatever you need, right? Unfortunately, you have to prove your losses in order to get paid. Your insurance company may not agree with your findings. A public adjuster can help you prove all of your losses as well as convince the insurance company of their validity, resulting in a higher insurance settlement offer than initially offered. When this happens, the public adjuster earns a small percentage (limited by Texas law) that comes out of the final settlement check. There is no upfront fee; there are no out-of-pocket fees; and you don’t pay if the public adjuster doesn’t deliver results!